SlugFest Games - Battle for Greyport – Pirates! Avast, me hearties! Black sails can be seen on the horizon. The city of Greyport is once again under attack! Three new villains have mustered their salty sea dogs and launched their attack on the city of Greyport, bringing with them a brutal crew of new monsters and the wanton destruction of cannon fire. But fear not, for the Crimson Drake has set out to meet these scalawags head on! Will Captain Whitehawk and her crew be enough to turn the tide of battle? 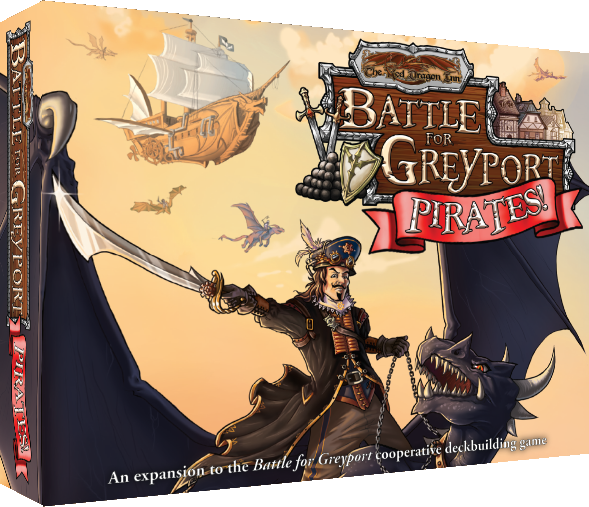 Battle for Greyport – Pirates! 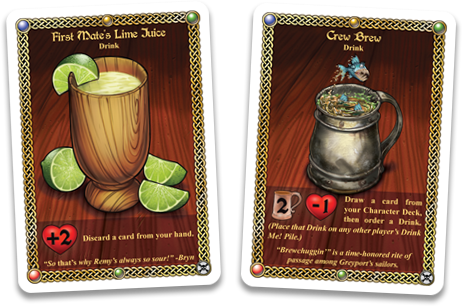 is a new expansion for the cooperative deckbuilding game Battle for Greyport. It expands the game with four new Player Heroes and their starting decks, as well as new reinforcement cards. With new monsters, mechanics and scenarios to complete, will you be able to survive? Or will Greyport fall to the scum of the sea?